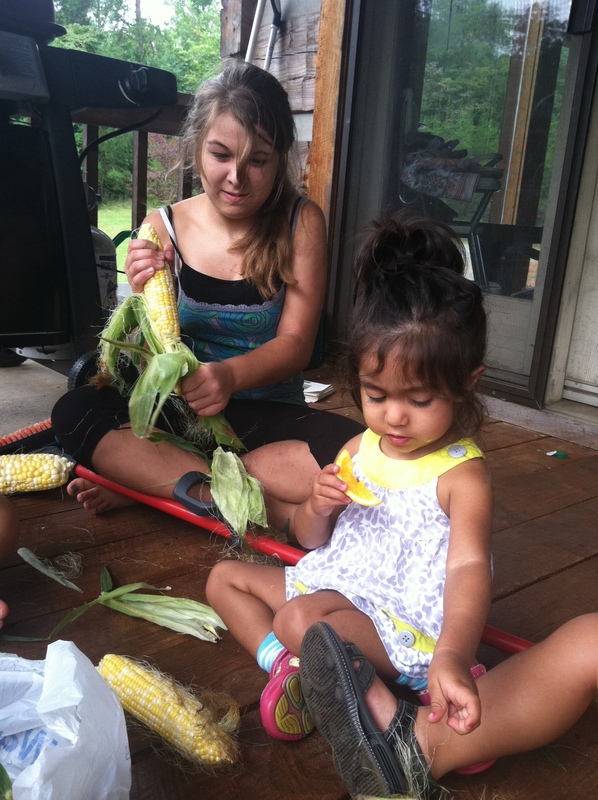 Princesa Dyanita and Maci–Dee Dee did actually shuck that corn in front of her (with a little help). 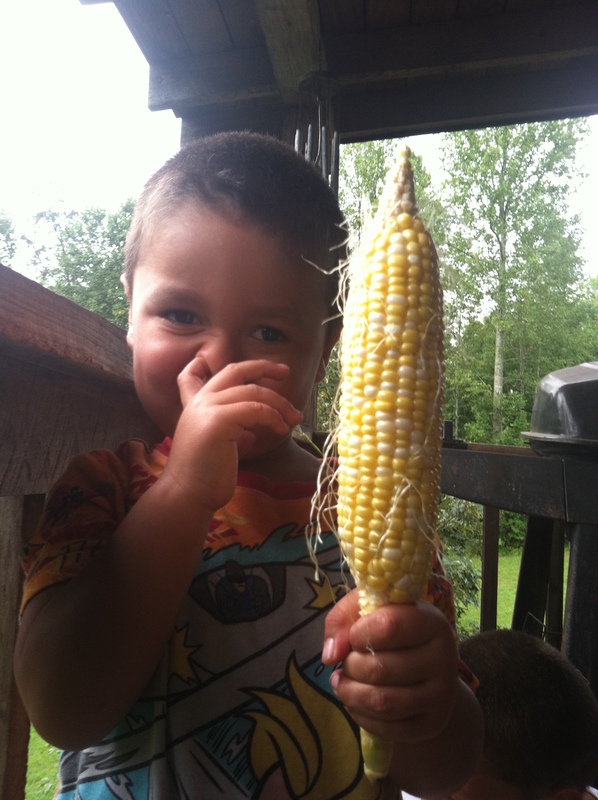 When we were young, I remember Mama and Mamaw getting all kinds of fresh produce to put away for winter. One time, someone delivered a pickup truck with the bed loaded down with a mess of green beans. 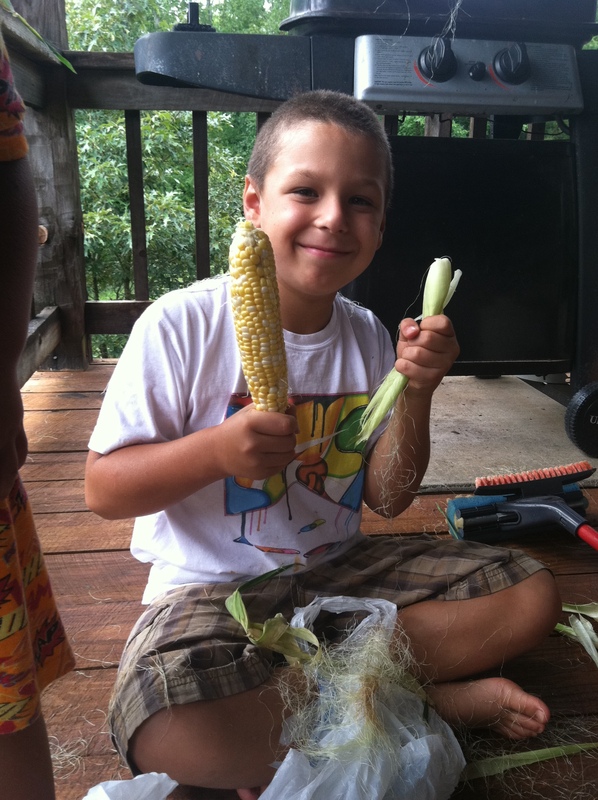 We pulled them off the vines, strung and snapped them for canning. 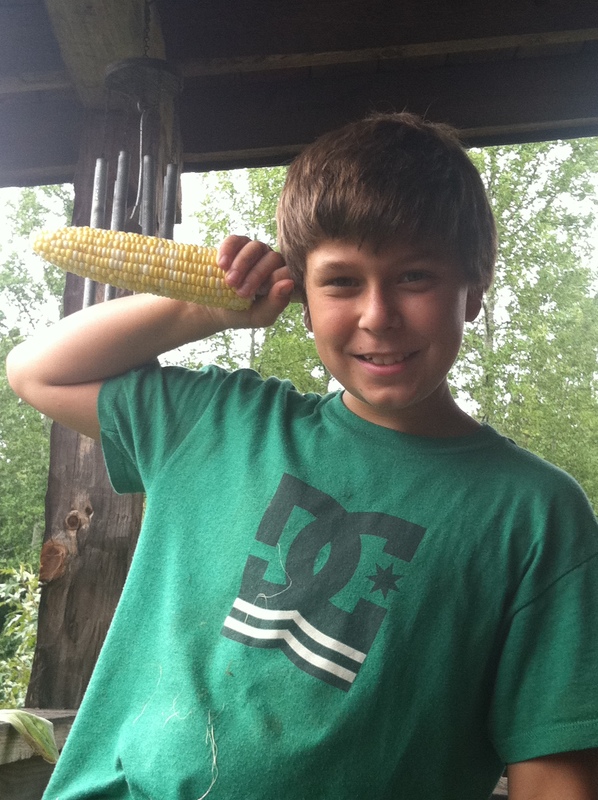 Another time, I remember sitting beside the cow pasture shucking corn. We would pull the husk off and throw them over the fence (where all the scraps went…in the country, you don’t throw food in the trashcan…) Everything had to be inspected, and more than once we were instructed to lick our calf over (redo the job we hadn’t correctly sufficiently completed). 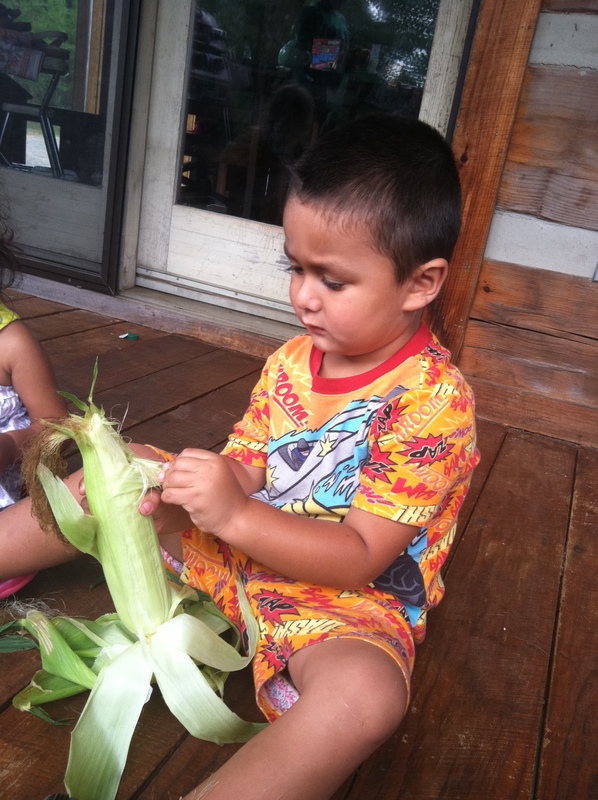 Love all the pics of the kiddos. They are beautiful!! LOVE IT ALL. 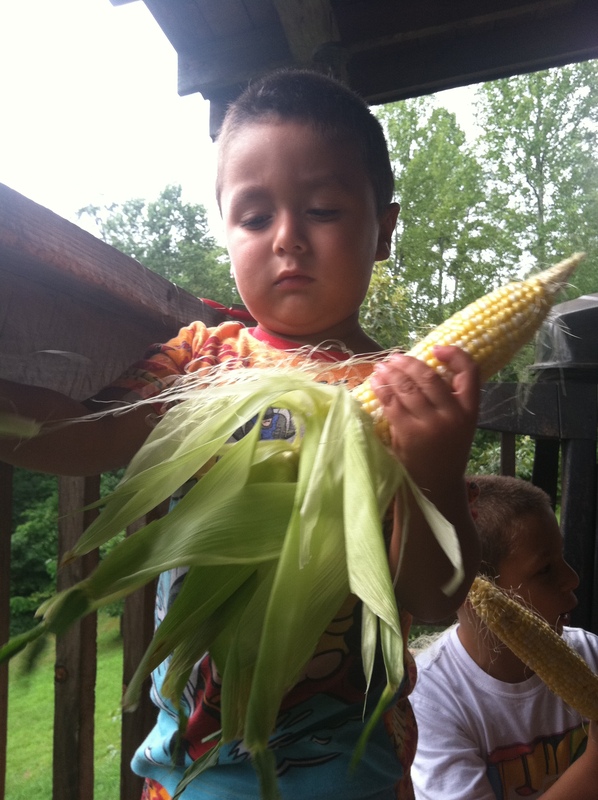 Pics of kiddos, description of ‘shucking corn’ – all that stuff. Sounds like my kind of people But are you SURE that’s a picture of Maci? Looks like Jami to me. Maci is a beautiful girl.